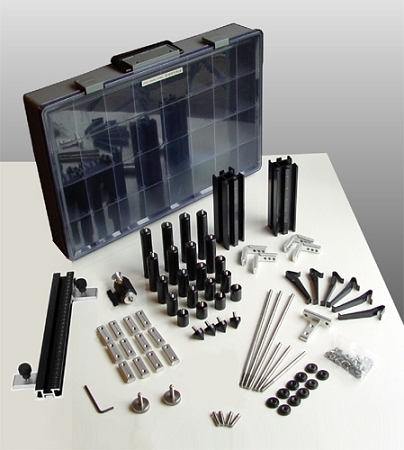 The FixLogix “small” size component kit is designed for smaller CMMs and smaller parts. Despite the economical price, the kit is very comprehensive, allowing a wide variety of part types to be easily fixtured for CMM inspection. Individual components combine to deliver multiple functions quickly and easily. This provides a level of flexibility and setup capability unmatched by other systems that cost twice the price.